Yesterday, on December 25th prof. Silaghi passed away. He leaves us all, his students, co-workers, friends and relatives with a deep hole in our hearts. We all witnessed what a hard year he had in terms of health and we are solely comforted by the thought of him not suffering anymore. I hereby send my condolences to his wife, children and grand children hoping they find comfort and peace. I guess I could write about the director of the faculty of chemistry; about my boss; about my co-advisor during my grad student years but instead I want to write about the man and friend who in no little way touched and changed my life. 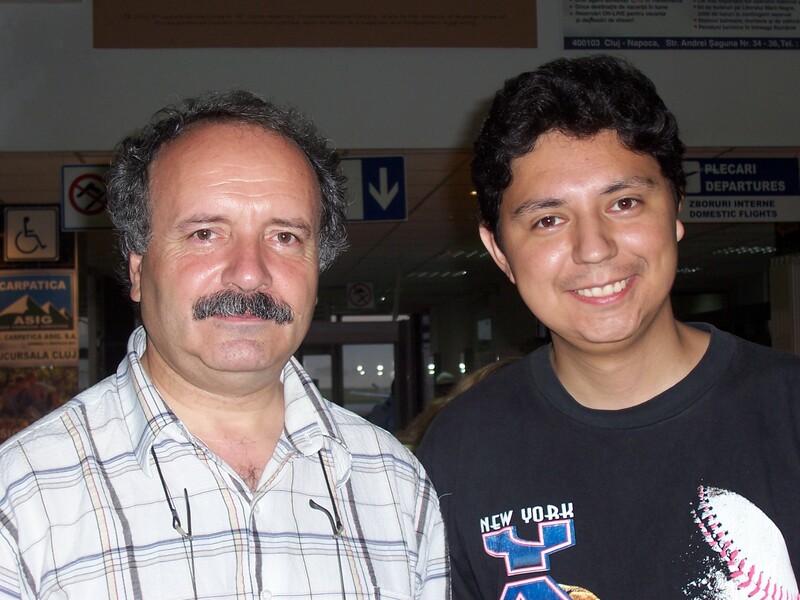 I met Ioan in 2002 during his last visit to the Chemistry Institute at UNAM in Mexico City when he came along his wife, Prof. Dr. Luminita Silaghi-Dumitrescu, to give an introductory course on molecular modelling. For a long time, he had been close to Dr. Raymundo Cea-Olivares, director of the institute, who at the time was also my advisor in my first year in grad-school; back then I was intending to work in the realm of inorganic chemistry and although I was becoming increasingly interested in theoretical chemistry, Ioan’s lectures were partially responsible for me changing my main research topic. 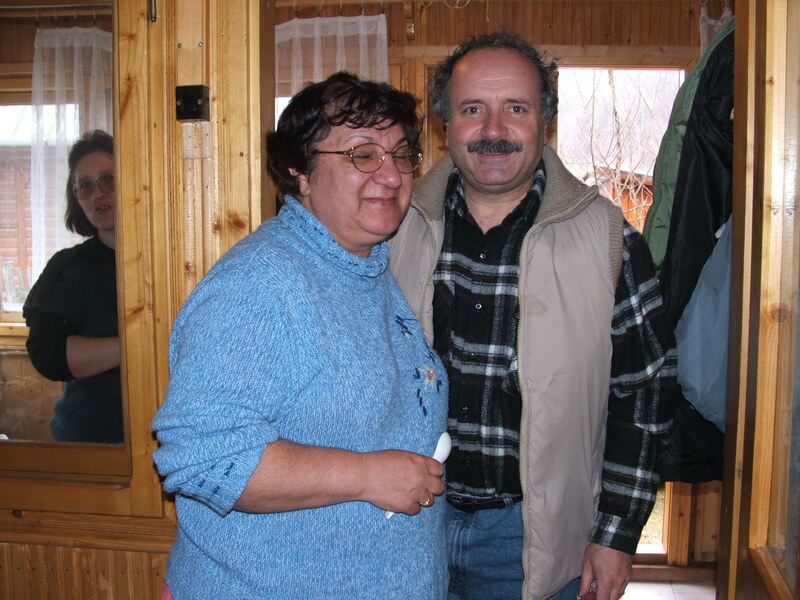 It wasn’t only until 2005 that I had the opportunity to go and work with him for 6 months at Babes-Bolyai in Romania. Although his schedule was usually tight he always found time to talk, however briefly, with his students. He was always present at his students’ birthday parties, ready to sing ‘La Multi Ani’ or to tell us all a new joke. A youthful and warm man, Ioan also found time that summer to help me out with my immigration problems. A couple of years later he fought and won a huge battle against cancer; apparently it came back, this time for good. After I left he offered me a postdoc position which I kept postponing until last year when I finally took it and although we didn’t see eye-to-eye on some things, I’m glad I took this position and was able to work with him once again. He always believed in me and my work, and for that I will always be most grateful to him. I will miss one of my mentors, a dear friend, a truely warm and loving man. May he rest in peace. La revedere Ioan, ne vedem dincolo o zi. Even though the year and my contract are almost finished I’m far from being free of work. I’m currently working on the final details of a couple of papers concerning this year’s work; next week (1st December) I travel to Skopje, Former Yugoslavian Republic of Macedonia, to lead a workshop for undergrads on computational chemistry; finally, on the last day of my stay in Romania I will give a small lecture for masters students on Molecular Dynamics. Aside from all that we have to count the numerous good-bye visits to friends and colleagues. Romania is a beautiful country with a rich cultural heritage. Unfortunately there are still a lot of struggles within the ruling forces hindering the progress of the country as a whole. Romania has been a constant presence in my life for a few years now since I came here as an graduate student for a research stay in 2005. I encourage everybody to put this country in your future tourism list and take the Transylvanian tour as I call it (Bucharest-Sinaia-Brasov-Sibiu-Sighisoara-Cluj Napoca); for those interested in skiing there are marvelous stations in Poiana Brasov and in Straja near Petrosani. Here’s to my second home, my heart remains in Transylvania, multumesc Ardeal! Changes are always thrilling, lets see what the future has for us in the short term. In the mean time I want to wish everybody to have happy winter holidays and enjoy them with your loved ones.